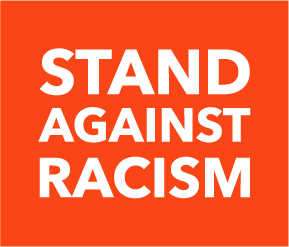 At YWCA, Stand Against Racism is a national opportunity for communities across the United States to unite their voices to educate, advocate, and promote racial justice. Through this annual campaign, we invite communities to find an issue or cause that inspires them to take a stand against racism. This year, YWCA USA invites communities to host activities and hold dialogue around the topic of immigration. We know that immigrant justice is integral to racial justice. All immigrants—regardless of status—deserve to be safe, healthy, and treated with dignity and respect. Too often our stereotypes around immigration are cemented around terms of division, fear, and hate against the stranger among us. Today, immigrant rights are under attack . As with other manifestations of racism, anti-immigrant attitudes, policies, and laws are both historically rooted and increasingly visible and harmful in our current environment. Threats to economic stability, physical safety, and basic human dignity are particularly acute for women, girls, and immigrants of color. Immigrants live in every state in the United States, and arrive from a broad range of countries across Asia, Africa, Europe, Central America, and other regions of the world—not just through land ports of entry at the southwest border, but also through airports and seaports across the interior of the country. They are our friends, neighbors, co-workers, teachers, classmates, doctors, electricians, first responders, ministers, and more. They are us, and we are them. As we lead this 13th annual Stand Against Racism, YWCA is raising awareness and highlighting the injustices faced by immigrant communities. This action campaign is lifting up concrete steps that we can all take—no matter where we live—so that immigrant women and families seeking safety and opportunity in the U.S. can arrive and live without fear, harm, or discrimination.